4K TV Buying Guide (2018-2019) – The 4K revolution is upon us. A 4K UHD TV has four times the resolution of Full HD 1080p TVs. Regular HDTVs have 2 million pixels (1920 X 1080), while a 4K TV has 8 million pixels (3,840 X 2,160). This is the same resolution as a movie theater. Most theaters have Sony 4K Projectors installed. 4K can also be described as Quad HD, or 2160p. 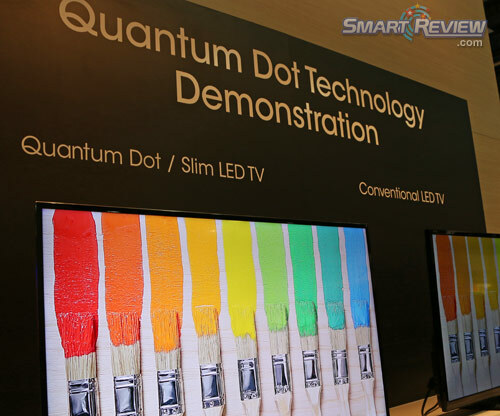 See the latest brighter Quantum Dot TVs. 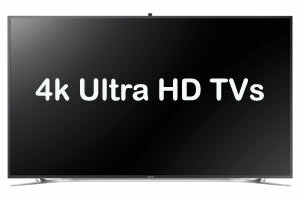 All TV manufacturers have committed to making 4K UHD TVs and are displaying these at the Consumer Electronics Show (CES). We are seeing that almost all manufacturers are producing less Full HD TVs and more 4K TVs. The high end LED TV sets use Quantum Dot (Nano-Crystal) Technology for deeper blacks, brighter picture, and expanded colors. There are cheap Chinese 4K UHD TVs entering the market as well, but many do not have the same quality of upscaling capabilities of the mainstream manufacturers like Sony, Samsung, Sharp, and LG. See our 4K TV Comparison to compare models. 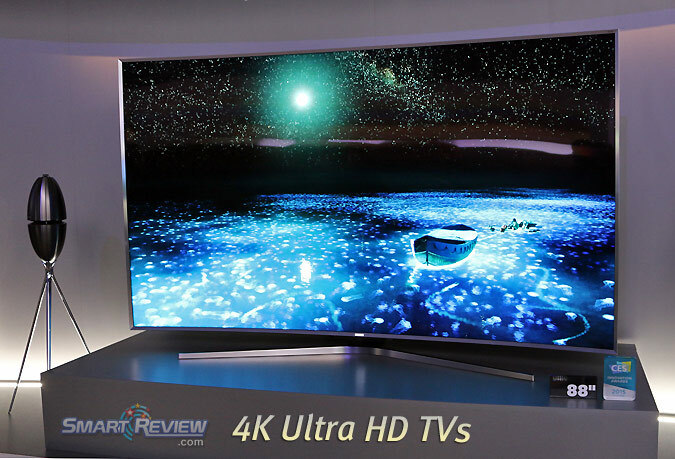 Best Rated 4K Ultra HD TVs – Below are Smart Review’s Top picks for 4K Ultra HD TVs. As we had predicted several years ago, the industry and the public has adopted 4K as the high and mid end standard in TVs. 4K will be as common as Full HD sets were several years ago. 4K is now projected at movie theaters nationwide using 4K Projectors, so you are getting movie theater resolution in your home. Why would I want a 4K TV? A 4K TV is the next evolutionary step in HDTVs. 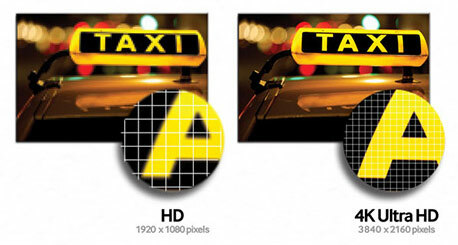 Full HD 1080p TVs have only 2 million pixels of resolution. The 4K Ultra HD TV has a resolution of 8 million pixels, which is four times the resolution of Full HD, giving you a much sharper and clearer picture. Its almost like looking through a window. You can sit much closer to the TV and get a movie theater experience. The beauty of the 4K UHD TV is that even Blu-rays that are in 1080p can be upconverted to take advantage of the higher resolution and look much better than on a 1080p HDTV. Newer Blu-rays are now being mastered in 4K for even better image quality. The image processor is the most important part of these 4K TVs for upscaling HD to Ultra HD. Sony’s 4K UHD upscaling technology is called X-Reality, Sharp’s is called Revelation™, and both are very impressive as we have previewed them at the Consumer Electronics Show, CES. Will there be any native 4K content available? Currently Youtube has 4K Ultra HD content, Netflix is now showing streaming Ultra HD 4K content (such as House of Cards and Breaking Bad). ESPN, XFinity (Comcast), and DirecTV also provide Ultra HD Content. 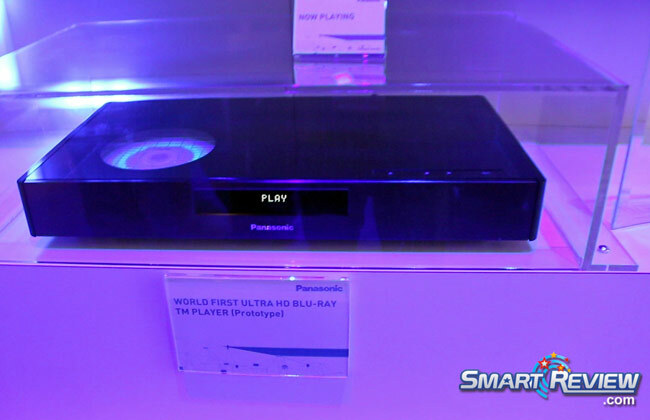 4K blu-ray discs arrived in 2016, and Samsung, Panasonic, and Sony have all introduced native 4k blu-ray players, available today. Amazon Prime 4K is streaming 4K content now. Cable TV access to 4K will come later, but a new Cable service called Google Fiber is starting to build a Gigabit network throughout the country. This will be up to 200 times faster than regular cable and cable TV. This speed will be able to support native 4K content, and fast downloads of 4K movies. We believe that Verizon and Comcast will have to follow suit and build their own gigabit network to survive. To help with 4K streaming video, a new video codec, called HEVC h.265 will replace the current h.264 mpeg 4 video codec, with the ability to stream video at twice the quality for the same bandwidth. 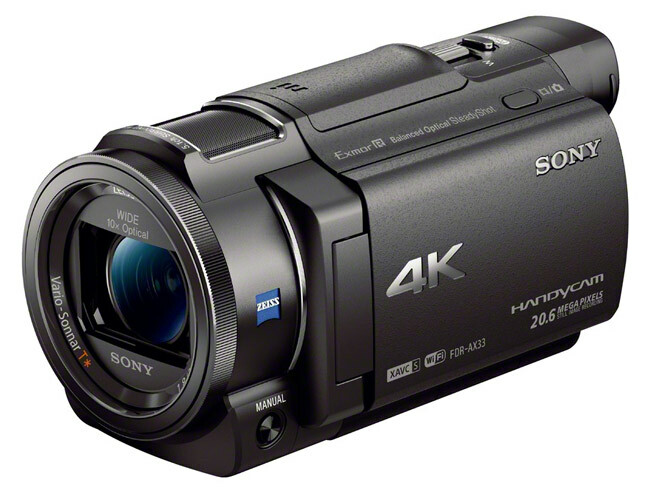 4K Camcorders were introduced at the Consumer Electronic Show for under $1000. All of these factors will make 4K TV content a reality, sooner than later. What is HDR and High Dynamic Range? At CES 2018 & 2019, the big push by major TV makers such as Samsung, LG, and Sony was High Dynamic Range (HDR). High dynamic range allows for wider range of lights to darks, better shadow detail and more natural and brilliant colors. This is one of the most impressive developments in picture quality that we have ever seen. HDR goes by different names (depending on model), such as HDR Premium, HDR 1000, HDR Super, and 4K HDR. Dolby Vision is also one of the leaders in this field. Another adopted standard is HDR 10. 4K Blu-ray discs and other content will take advantage of HDR enabled TVs. Higher end TVs will do a better job at HDR, since their backlights can achieve higher brightness levels (brightness measured in nits). Those TVs with Quantum Dots (Sony’s Triluminos, Samsung’s QLED, and LG’s Nano Cell) will present HDR at its best. What 4K TVs are on sale and available now? All major manufacturers now have 4K TVs that are available to purchase now. Prices have started out very high, but have come down dramatically. Sony was the first mainstream manufacturer to sell 4K TVs under $10,000.00, and now some mainstream 65-inch models are under $2,000.00. More are scheduled to come in 2018-2019. The prices of the largest 84-inch models and larger models are still high, but dropping fast. We saw all makers of TVs at CES 2019 with many new 4K models. Chinese manufacturers will introduce much cheaper 4K UHD TVs which we hope will have better upscalers more comparable to the first tier brands, as we were disappointed by the quality of the 1st generation Chinese 4K TVs. Quantum Dot (Nano-Crystal) TVs: For 2018-2019 we are seeing more Quantum Dots technology being introduced in the high end LED TVs. The Quantum Dots (also referred to as Nano Crystals) are tiny particles that work with the LED lights to produce a huge increase in color expression, deeper blacks, and a brighter picture. These were the best LED TVs we have ever seen. We previewed this technology at the Consumer Electronics Show (CES) and it made a big difference in brightness, blackness, and colors in the demos we saw. The best LED TVs we have seen. Quantum Dot TVs give much better HDR (high dynamic range) than other TVs. Samsung’s Quantum Dot technology in 2018 and 2019 is called QLED. What is a 4K Upscaler? All 4K TVs look great when viewing native 4K content. But what about current 1080p and 720p HD content from cable TV, satellite TV, and Blu-ray discs? These must be upscaled to 4K so that they will look great on your 4K TV. The picture on your 4K TV should look better than viewing this same content on a regular HDTV. Mainstream TV makers have better upscalers than cheaper brands. Brands such as Samsung, Sony, Sharp, LG, and Panasonic have excellent upscalers. This is one of the most important features on a 4K TV. Sony’s 4K X-Reality Pro Chip – The Sony XBR X930D HDR Series 4K TVs use this image processor to upscale video that is lower than 4K, and view it with a clarity not possible without this Chip technology. The 4K X-Reality chip enhances HD or lower resolution and refines it for the extra resolution of the Full 4K screen. Cheaper 4K TVs will not have the image processing power of this technology. Sony is a leader in 4K technology & upscaling and pioneered this technology for movie theaters. The majority of 4K Projectors in movie theaters are made by Sony. Why are 4K Curved TVs Different? 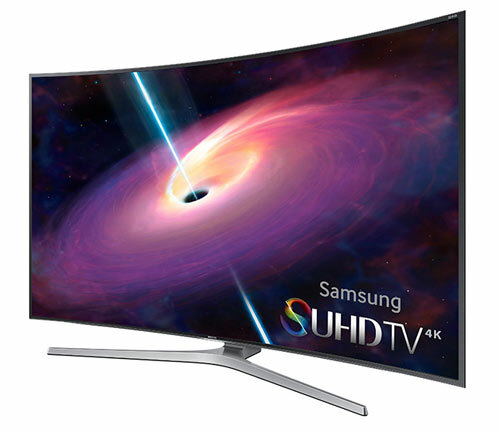 We are seeing more curved screen 4K TVs, especially from Samsung. Many movie theaters have curved screens. The advantage of a curved screen is a more immersive experience and sense of depth. The larger the TV the better in regards to curved TV benefits. The best spot to watch a curved screen is right in front of it, for the maximum effect. Curved TVs are more awkward when mounting on the wall, and are more expensive. Currently Samsung and LG brands of TVs have curved screens. How close can you sit to a 4K TV? When viewing 4K content with a 55-inch or 65-inch 4K TV, you can sit as close as 3-4 feet, and 5-6 feet as the most optimal immersive experience. The pixels are so small you will not be able to see them from those viewing distances. Sitting closer will give you a movie theater type experience not possible with lower resolution HDTVs. 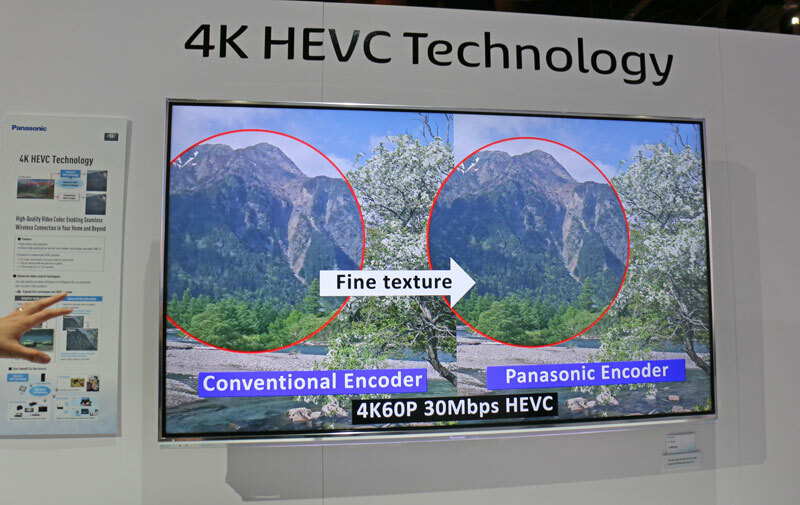 HEVC/H.265 decoding Most of the newest 4K TVs now have a new decoder HEVC/H.265 (High Efficiency Video Coding) which can send double the video resolution in the same bandwidth signal, or uses 50% of the bandwidth for the same resolution. This will allow existing cable and internet providers to send us 4K content. 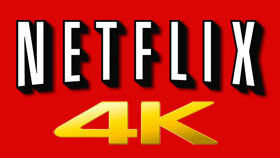 Netflix, Comcast, and possibly Blu-ray discs will be using this new compression for 4K content. The Comcast Xfinity X1 platform cable TV boxes will be equipped with HEVC, which will allow it to decode native 4K signals. This will allow content providers to send 4K over existing cable and internet cables. Native 4K Blu-ray Discs are here – The 4K Ultra HD Blu-ray disc is finally here. Samsung, Sony, and Panasonic are selling 4k Blu-ray players, now with built-in HDR. 4K movie titles are also available. The new 4K blu-ray players use the new HEVC (h.265) compression, give 4k at up to 60fps, increase the color pallette from 8 to 10 bit color, and increase the dynamic range of the picture. So, not only are you getting 4x more pixels, but a better overall picture. Some will also offer HDR (high dynamic range) to go along with all the new HDR capable 4K TVs. The first disks will use the standard 50 gigabyte two layer discs now used for standard blu-ray, and increase capacity up to 100gb later. What is 3D like on a 4K TV? There’s 3D, then there is 3D with 4K Ultra HD. If you have active 3D Glasses, you will see life-like 3D images with a realism not seen before. The level of detail is stunning, as its the closest thing to being in a Movie Theater. If you have a passive 3D 4K TV, you will see a minimum of Full HD 1080p in each eye. We have seen demonstrations of 3D on a 4K TV and it is the best we have ever seen on a TV. The 4K TV truly brings out the potential of 3D. A larger 4K 3D TV will give you the best immersive experience in 3D. (Unfortunately all manufacturers have ceased production of 4K 3D TVs in 2017). Movie Theater 4K Projectors – Without knowing it, we all have been watching 4K at the movie theater. The 4K projector pictured above is an actual Sony 4K projector that was on display at CES. 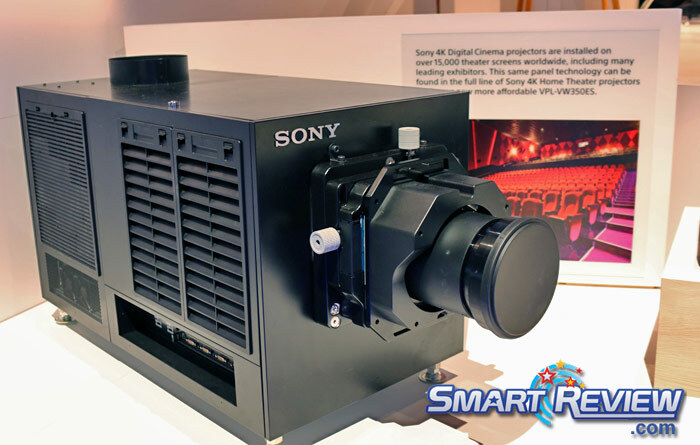 Sony has over 15,000 4K projectors in theaters worldwide and has a decade of experience in 4K. Your 4K TV will give you movie theater resolution at home. Sony 4K TVs have this advanced technology built into them. What is HDMI 2.0? HDMI 2.0 is a new standard that is made for 4K TVs. It will allow you to see much higher frame rates than now possible. This will be important when new content and games that require high frame rates are used. New consumer 4K UHD camcorders are available that can record your friends and family at the same resolution as what is shown at movie theaters. These 4K camcorders will eventually be able to do higher frame rates. That’s where HDMI 2.0 kicks in. All 2018-2019 4K TVs have HDMI 2.0 standard on their TVs. HDMI 2.0 has a higher bandwidth which will make possible full-resolution 4K 3D, and 60fps video which is a real treat to see. What is HDMI 2.1? HDMI 2.1 will add new higher resolutions and framerates. Many of which won’t be available for many years. Gamers may be interested in this standard.